Ok, so before you say "What do Lush cosmetics have anything to do with early learning and parenting? Hold on Lauren you are not a beauty blogger no matter how many times you dress up and pretend to be!"... 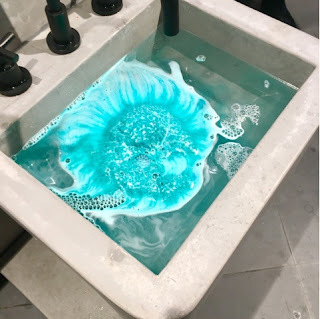 I couldn't not share and write about my awesome night out at the special sneak peak opening of the new Lush store in Rundle Mall. I was on the train at 5pm, free from the kids, breathing it all in and relishing in the time to myself. I thought back to my teen years when I (and all of my friends) were obsessed with The Body Shop and we would go in and try all the products (smothering ourselves with vanilla perfume) and not buy a single thing because we were teenagers and we had no money. 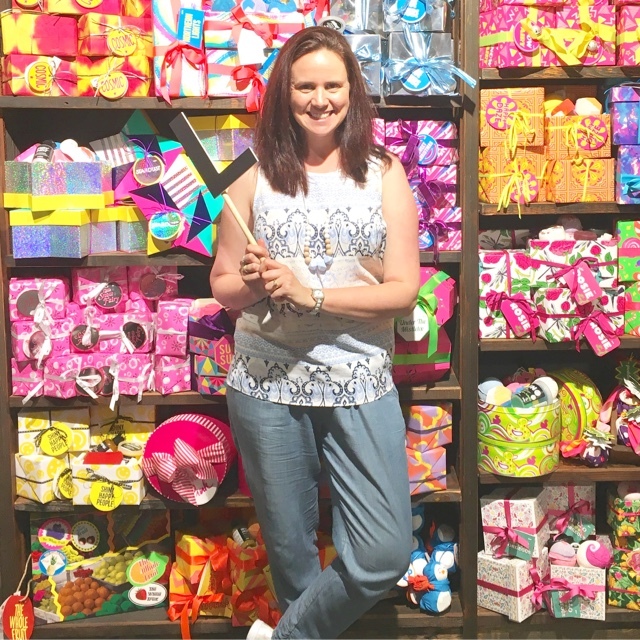 We mums usually put ourselves last and splurging on beauty products is probably at the bottom of our shopping lists. Generally speaking I'll just chuck some random moisturiser in the trolley whilst kid wrangling at Woolies. 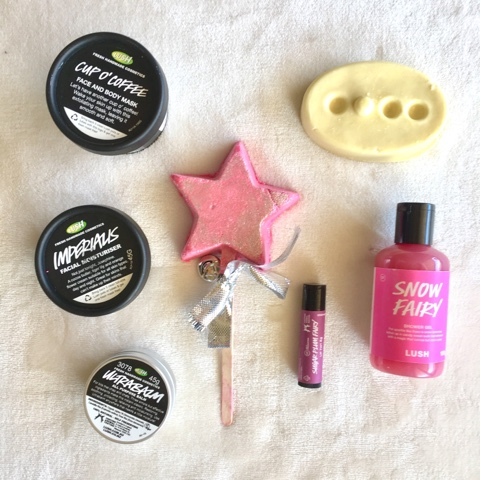 I don't wear a lot of make up nor use a lot of beauty products, but after seeing what Lush has to offer, I figure for those must haves that I do use (moisturiser, foundation, powder, shampoo, lip balm etc) I should treat myself to the good stuff. 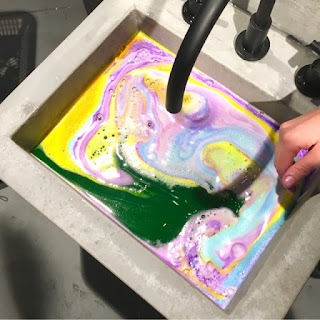 I'm also not one to have a bath - but after seeing Lush bath bombs I may have been converted (and I've also learnt that #bathart is an actual thing). 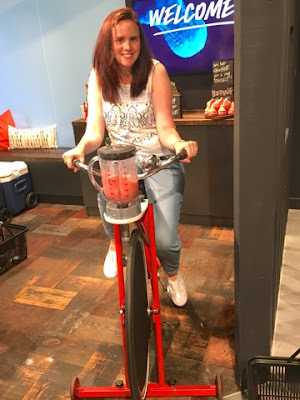 So back to the night out - there were cocktails, nibbles, bike riding smoothing making (yes that's a real thing), bath bomb creating, chatting with blogger friends, sampling all of the products, and of course some shopping. 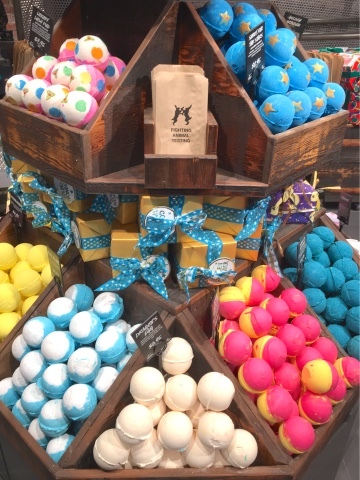 I also love that Lush is a planet hugging company who takes pride in their products being vegetarian, ethical, handmade, not tested on animals, with minimal packaging. The new store is amazing, the biggest in Australia and the timber they've used is from the construction site of the Sydney Harbour Bridge! Aka mummy/teacher blogger pretending to be a beauty/fashion blogger for the night. Yay! It was such a good event and glad you had fun playing beauty blogger for the night . . . it suits you :D I love that coffee mask, it is so revitalising! 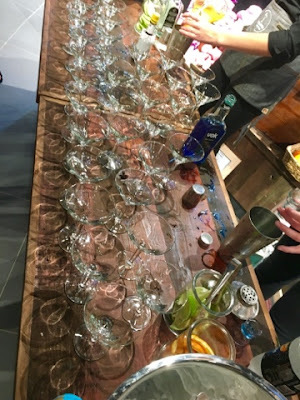 So pleased that you could join us at the Lush Event Lauren. 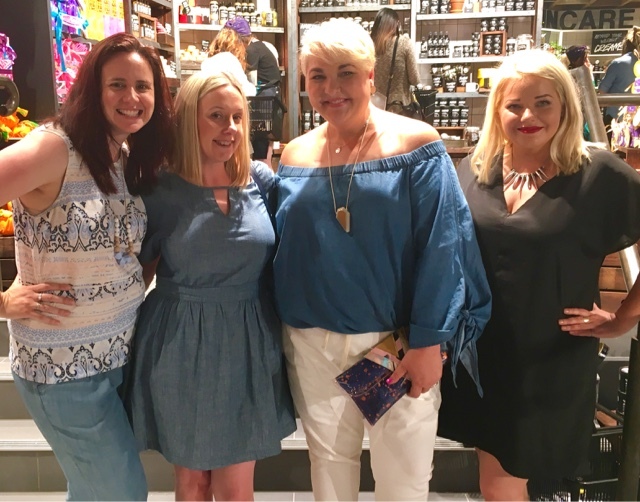 Nici and I were thrilled to be able to include bloggers from all genres from our blogger register and Lush is definitely not just for the beauty bloggers.